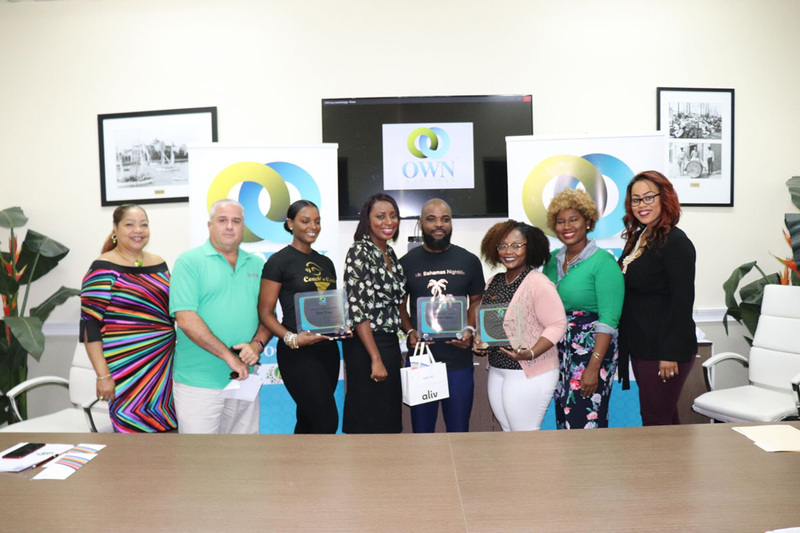 NASSAU, Bahamas (July 25 th ) – The IL Cares Foundation, is excited to announce the winners of the 2018 OWN Bahamas Entrepreneurship Program. On March 27th, OWN Bahamas opened applications to Bahamians for its 4th annual entrepreneurship competition. This competition offers Bahamians an opportunity to submit their business ideas within new or existing industries. Once the winners are selected, the entrepreneurship program provides recipients with financial support, mentorship, and the necessary business knowledge that will enable them to manage a successful business. The program is open to all legal and eligible Bahamian citizens. The applicants are required to provide a brief bio and business plan that includes an outline of their goals and aspirations. The OWN Bahamas selection committee then reviews all applications, conducts interviews, and selects the final candidates to receive the grant awards. 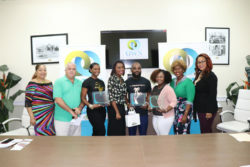 This year, Corporate Bahamas partnered with OWN Bahamas, through financial and mentorship support. Partnership financial support levels ranged from $500.00 to $5000.00. These partners are: Aliv, Atlantis, Azulify, Bahamas Waste Management, Digiprint, AML Foods, Nassau Guardian, NUA Insurance, and University of the Bahamas. Three (3) Bahamians have been selected to join the program. Mr. Johnson has designed an app which will enable tourists and Bahamians alike to access information pertaining to Bahamian events, restaurants, shopping, culture, the arts and all that is happening around the country. This will allow persons to plan ahead and adjust schedules accordingly based on events taking place each week. Ms. Kenny has designed many types of conch dishes, presented in a cone. She will be at many venues around the island in her food truck which has the capability to store and cook inventory on the spot. Ms. Bain has entered into the business of offering stationary and personalized party, wedding, and special occasion gifts. These items are reasonably priced and are in varied forms. A six-week extensive business certification program created by The University of The Bahamas exclusively for OWN Bahamas. This educational program is an invaluable experience for the participants as they learn about critical aspects of building a successful business such as management, financial responsibility, ethics, legality, and community responsibility. In addition, all participants will be required to attend regularly scheduled mentorship meetings and complete full business, financial and marketing plans. Three (3) months internet service and a wireless device compliments of Aliv the AlIv grantee and a complimentary phone for the other winners. Our foundation, IL Cares, was established in 2014. Island Luck Cares embodies the full and simple desire to create a nation where all Bahamians have the wherewithal to achieve their full potential through robust education platforms, income support and stability, responsible practices, and healthy lives. Through the IL Cares Foundation community initiatives, we aim to provide effective assistance to our fellow Bahamians in need. Our foundation focuses on the areas of health care, education, financial assistance and business entrepreneurship. We strongly believe that when we give back to our communities, we contribute to the development of a better Bahamas for all. The Island Luck Cares Foundation is pleased to support robust organizations that are making a difference in our community. We believe that progress happens when dedicated people translate good intentions into concrete realities. We look forward to aiding in the betterment of our communities throughout the Bahamas.